Most cod spawn between the months of January and April and females release up to five million eggs. After hatching, the young cod drift in the open ocean and feed on small crustaceans. Adults eat a wide variety of prey, including other fish, worm, crabs, shrimps and prawns. Fish stocks in the Irish Sea and along the North American East Coast have fallen rapidly in recent years. Overfishing and specifically the harvesting of young fish before they have reproduced successfully is a serious threat to Atlantic Cod. Climate change is an additional rapidly emerging threat to this cold-water species – warmer ocean temperatures accelerate metabolism and affect prey abundance, causing the fish to be malnourished and less likely to reproduce. 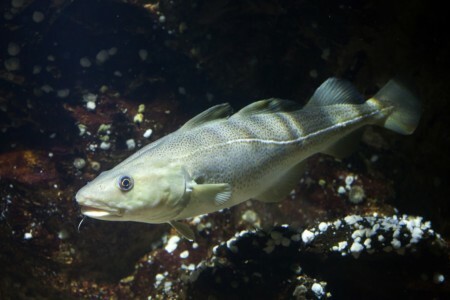 The Atlantic Cod is classified as Vulnerable on The IUCN Red List of Threatened Species.